Get started with companion planting today! For generations gardeners have been using companion planting methods to increase the health of their gardens. Now you can get the same results! 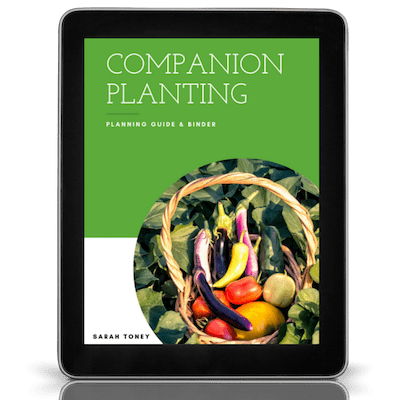 With the Companion Planting Guide & Binder you can easily apply companion planting techniques in your garden to get the same benefits! Turn your garden into a symbiotic ecosystem where plants work together to reduce pests and increase flavor and yields. Save time, space, and resources by pairing plants together based on needs and benefits. Design beautiful gardens full of vegetables, fruits, herbs, and flowers that compliment each other perfectly. Get started for only $17! The Companion Planting Guide and Binder is a great resource for beginning and expert gardeners alike. A one-of-a-kind resource on companion planting that you need to get in your hands before your planting season begins. 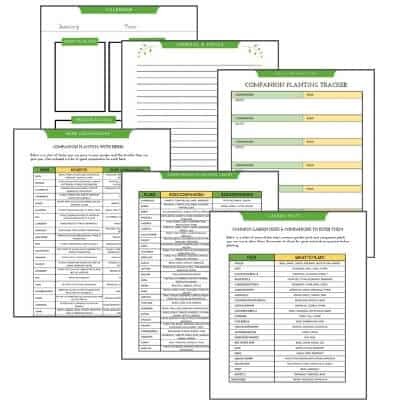 We love everything about this resource–plant profiles, organic pest control recipes, easy to read companion planting charts, resources for planning and more. We’ve gardened for quite a few years and learned so much more about effectively managing pests through organic methods. We can’t wait to try out these methods this growing season! I am so happy to have the companion planting guide and binder! While I have been gardening for years I have often failed due to lack of knowledge regarding companion planting and natural pest control. I didn’t know which plants couldn’t grow together and I had no idea that plants will thrive when planted next to the correct companion! I also am so excited to learn about using trap cropping to deter pests as well as essential oils! Thank you so much Sarah! This binder is exactly what I have needed to help make my gardening season successful! Grow more food in less space! By using companion planting principles you can pair plants based on their needs to make the most of any space. Weave flowers and herbs throughout your beds for a beautiful garden that offers maximum benefits! Sketch your garden beds and plan your season to increase your productivity and harvest. Use companion planting to draw in beneficial and predatory insects to help you fight pests in your garden. Harness your crops’ natural abilities to protect and assist each other for healthier, more flavorful harvests. Track and record your companion planting efforts so you can see which plant pairings work best in your garden. When you purchase the Companion Planting Guide & Binder you’ll also get everything you see below, and MORE! If you aren’t sure exactly where to start when it comes to companion planting, these example beds will give you a jumping off point to plant your own gardens with companion planting in mind. You will also get planning pages to sketch out your own drawings and make definite plan for a great gardening season! I know your time is valuable and you don’t want to spend hours wading through tons of information to find what you need. The Plant Profile Pages give you a quick look at 10 of the most common garden crops so you can easily find good companions, bad companions, pest companions, and more! 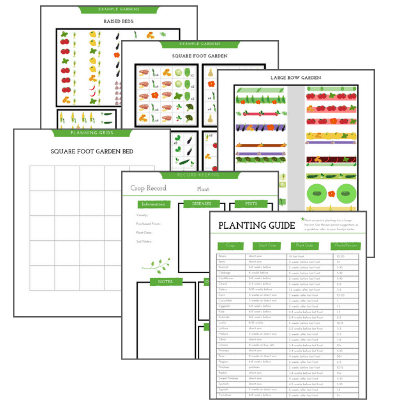 Quick reference charts will help you tackle companion planting quickly and easily. These charts tell you at a glance which plants and herbs to plant together for the maximum benefits! Keeping good records will help you hone in on the best companions for your garden. 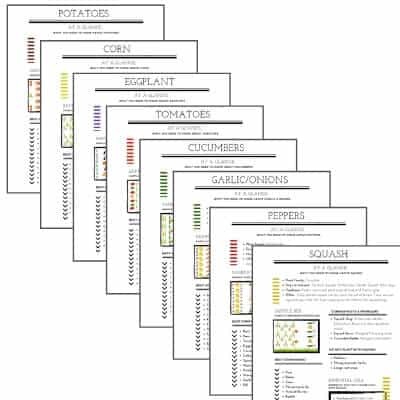 The record keeping pages will help you to track all of your companion planting results from year to year. This digital guide and planning binder will help you to plan the ultimate companion planted garden. Click below to start planning your best garden ever!